Midwest Airlines is set to receive up to $25 million in loans from Republic Airways Holdings, which provides and operates regional aircraft, in exchange for Midwest leasing a dozen airlines from Republic. Republic will loan the carrier $15 million up front and an additional $10 million at a later date if Midwest hits certain financial goals. 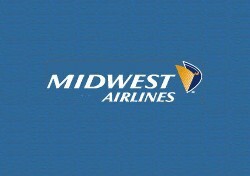 In all, Midwest has lined up $60 million in financing that should help the airline stay clear of Chapter 11 bankruptcy. The downside to the deal is that Republic will use its own pilots and staff for the first year of the lease, meaning Midwest will lay off 270 people, including 125 pilots, 120 flight attendants, and 25 maintenance workers, according to the Milwaukee Journal Sentinel. This aspect of the move has, understandably, drawn ire from employee unions, including a claim from Midwest’s pilots’ union leader Jay Schnedorf that outsourcing jobs to Republic may violate Midwest’s contract with its pilots. For Midwest, though, it’s all about staying alive, whatever the cost. Midwest spokesman Michael Brophy told the Journal Sentinel that, “for the foreseeable future, we are out of the shadows of Chapter 11.” That’s good news for consumers, particularly Midwesterners who rely on Midwest for flights to major cities across the country. The airline has already cut back on its route network in an attempt to save money.